True stories about real people: Nobel Prize laureate Dr. Joshua Lederberg said that once he decided exobiology was the way to save the solar system from earthly biological contamination he sought expert help first at the University of Wisconsin, where he was professor of genetics. There he discovered a brilliant biology student, nineteen-year-old Lynn Alexander. 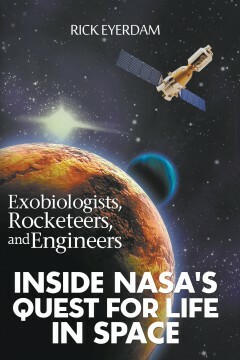 Exobiologists, Rocketeers, and Engineers: Inside NASA’s Quest for Life in Space details the challenges faced by the NASA engineers with the rise of the exobiologists who had no laboratory and no way to conduct scientific research unless they could get a ride on a spaceship. Just what NASA need since its legacy institutions-Langley, Ames, JPL, Goddard-were designed to devise new aeronautic feats. After the moon missions, rockets into space with life-search equipment on board raised the horizon to infinity. This is their amazing historic story. Rick Eyerdam is a national award-winning reporter who was a finalist in the NASA Journalist in Space competition and who covered the NASA Viking Mars missions and subsequent launches. He is editor of Marsnow, info, an acclaimed Web site covering the search for life on Mars and in space. 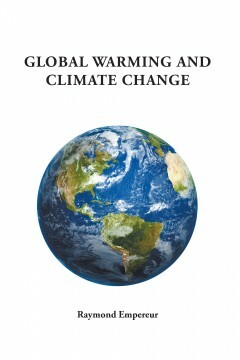 Climate Change and Global Warming: A Brief Primer Including the Paris Agreement of 2015 is an introduction to climate science and the current climate crisis that has developed during the past century. Since the impact of climate change will likely impact the Gen Xers and Millennials the most, this book is also for their benefit. Climate change driven by global warming is not difficult to understand and of the world’s climate scientists, 97% agree that human activity in the consumption of fossil fuel is the primary cause. But there are solutions; it is not too late if we act now. Raymond W. Empereur, B.A, M.P.A., a senior Baby Boomer, is a retired public health and non-profit executive with over 30 years of combined experience as an executive director/public health administrator for six local public health departments in Northern Illinois and as the non-profit director of a health planning and policy agency based in Rockford, Illinois serving the north central part of the state. He also had the privilege of becoming a licensed “navigator” for the state of Illinois and worked for a time helping people to apply for health insurance under the Affordable Care Act, aka “Obama Care”. Ray lives in Rockford in northern Illinois with his wife and is semi-retired. He and Sherry have two adult married children and five grandchildren. Ray teaches part-time for the Masters of Public Health program at Benedictine University and consults in grant writing and non-profit management for Rockford University. 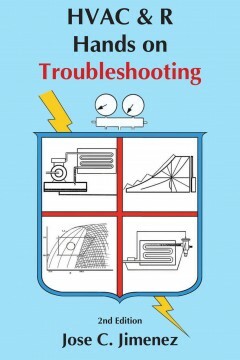 This is his fourth book.